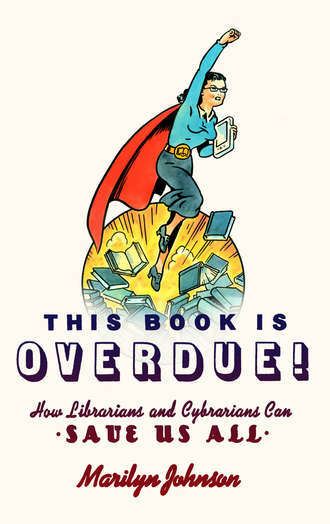 Marilyn Johnson isn’t a librarian, but she sure appreciates us. In the course of researching her book about obituaries she received a great deal of help from librarians, which inspired her to write This Book Is Overdue. I’m not sure if she explained how librarians and cybrarians can save us all, but she definitely talked about many ways in which librarians are making the world a better place. Fighting to uphold intellectual freedom and privacy, helping people from developing nations become tech literate, assisting job searchers and researchers, and preserving important documents and ephemera are all important and noble causes. I’m not sure Second Life merits such a large portion of the book, but it was interesting. 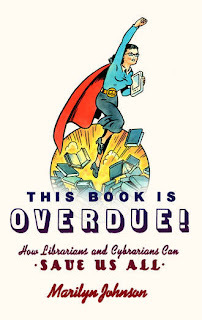 Although I feel like a lot was left out, had she included everything important that all types of librarians do, it would have been a much longer book indeed. Both informative and entertaining, this was a very quick read and certainly worth the time invested. I’m curious about the intended audience – librarians already know that we are important, but are people who aren’t librarians reading this? Such as legislators and voters? Let’s hope so.